The first Green Star NZ rating tool was launched in new Zealand in 2006 with Green Star NZ - Office Design. As of May 2009 there have been 13 buildings certified with a Green Star NZ Office Design rating. NB. If you are unfamiliar with Green Star NZ rating tools refer also New Zealand green systems and resources (Jan 2008 amended). All core credits for paint are IEQ 3 and MAT 3. A Wall partition calculator is included in the Interiors and Education Tools; paint contributes towards 2 available points for this credit. Points are achievable under IEQ 11 clauses for overall illuminance of interior spaces; LRV of paint colours specified will help achieve this. Interiors include paint applied up to 24 months prior. Interiors are for a completed fit out only, no design tool is available. Office has been expanded to include both Design and Built, criteria’s are the same but proof of compliance required is different. Office has also been expanded to include both new builds and also major refurbishments where 50% or more of the building is undergoing refurbishment. The amount of points available under IEQ and MAT and the associated weightings of each category vary greatly from tool to tool. The existing Green Star NZ - Office Design v1 rating tool has been expanded to include an Office Built rating. The two Green Star NZ tools are combined into one technical manual and one excel tool. It has also expanded to include refurbished buildings. The building must be a new build or more than 50% must be refurbished. The Office Design tool rates the design of a building - it assesses what ‘will’ be built. The Office Built tool confirms the environmental initiatives proposed at Design phase reflects has been built and validates the environmental initiatives proposed at design. The credit aims and criteria are the same for the Design and Built phases of the Green Star NZ - Office rating. However, the compliance requirements, or types of evidence submitted, vary between the two stages. NOTE: All projects that plan to be assessed under Version One (v1) of the tool must be registered under this version. Certification Agreements will need to be signed, and fees paid to be considered registered. Registrations for v1 will remain open for two months after the release of Version Two (v2). After this no further projects will be assessed under Version One. The only exception to this is buildings that achieved a certified Design rating under Version One. These projects may seek an Office Built v1 rating at any time. Any project registered under Version One can elect to be assessed under Version Two if they choose. Up to 3 points are available for this credit. NOTE: PAINT CAN CONTRIBUTE TO ONLY 1 POINT. Up to 3 points are awarded where it is demonstrated that the various finishes meet the benchmarks for low VOC content. 1 point where 90% of all painted finishes are low VOC paints or no paints are used. Other 2 points come from (1) adhesives and sealants, (1) carpets. 1 point available for this credit. Ensure if painting these areas colours are specified that have an LRV of not less than these limits above. This, in conjunction with the overall lighting design, will achieve these points. See the Resene online colour library for light reflectance values. Documentation includes design documents, short reports and report extracts from design professionals, and statements from owners demonstrating that the design intent adheres to Green Star NZ compliance requirements. The Green Star NZ accredited professional (GSAP) will have primary responsibility for collecting the compliance requirement documents. The following is the compliance documentation required for both MAT 3 and IEQ 3, more information will follow as to how Resene will provide this information and the process needed. Documentation includes evidence from suppliers and subcontractors, short reports and report extracts, as-built drawings, product data sheets, and statements confirming that Green Star NZ compliance requirements have been met. • In many instances, the construction team will collect documentation from subcontractors and suppliers verifying how the project was completed. • It is recommended that requirements for such documentation are included in construction sub-contracts. Statement from construction project manager, owner's project manager, design professional or quantity surveyor certifying the nominated products were installed. The Assessor(s) will not award points unless at least 90% or more of the paint used on the project meets the criteria as set out by an independent verification method (such as NZ Environmental Choice or any GEN-aligned certification system) recognised by the NZGBC. Note: that any pre-existing paint that is retained in a refurbished project is not to be included in the calculation of this credit. IEQ 3 - 1 paint point out of 26 IEQ points, total Green Star weighting for IEQ of 20% = 0.77 Green Star points. MAT 3 - 1 paint points out of 24 MAT points, total Green Star weighting for MAT of 10% = 0.42 Green Star points. Giving a maximum potential Green Star paint points = 1.2 points (rounded). The Green Star NZ - Education tool rates whole new schools, school buildings, tertiary buildings and childcare centres. Pilot projects are underway. Up to 5 points are available for this credit - 4 points for VOCs and 1 point for Formaldehyde. Up to 4 points are awarded where the various finishes used in the project meet the benchmarks for low VOC limits. 1 point where 90% of all finishes meet the requirements OR no finishes are used. Other 3 points come from (1) adhesives and sealants, (1) floor coverings and (1) ceiling tiles. 1 point is available for this credit. Applied Coatings/Paints are defined as any liquid applied finishes. Including but not limited to Paints, Stains and Varnishes and Oils. One point is awarded where it can be demonstrated that 90% or more of the applied coatings used are independently certified as having lower environmental impact than standard applied coatings as verified through a material certification body recognised by the NZGBC (list of ecolabels available on NZGBC website). Up to 2 points can be achieved for the entire calculation; paint if used in partitions can only achieve up to 1 point but this is will be weighted down. Re-use of original partitions is the only way to score maximum points. Repainting of re-used partitions falls under the overall painting specification. This includes that finishes are environmentally preferable (they must be independently certified as having lower environmental impact than standard applied coatings as verified through a material certification body recognised by the NZGBC (list of ecolabels available on NZGBC website). These points are only achievable with a systems approach including the lighting design. These points can be achieved if illuminance ratios are met. The surface finishes of the wall, ceiling and floor area will have an effect on the illuminance so ensure if painting these areas colours are specified that have an LRV suitable to achieve these limits above. This in conjunction with the overall lighting design will achieve these points. See the Resene online colour library for light reflectance values. IEQ 3 - 1 paint point out of 28 IEQ points, total Green Star NZ weighting for IEQ of 20% = 0.71 Green Star NZ points. MAT 3 - 1 paint point out of 37 MAT points, total Green Star NZ weighting for MAT of 13% = 0.35 Green Star NZ points. Giving a maximum potential Green Star NZ paint points from core credits = 1.06 points (rounded). This tool rates completed fit-outs only- no Interiors Design rating will be available. Open for feedback until 17th of April but pilot projects are underway now. Up to 5 points available for this credit. 4 points for VOCs and 1 point for Formaldehyde. Up to 4 points are awarded where the various finishes used in the project meet the benchmarks for low VOC limits (as per table) or were installed at least 24 months ago. Other 3 points come from adhesives and sealants, floor coverings and workstations / furniture / fittings/ ceiling tiles. Up to 6 points can be achieved for the entire calculation, paint if used in partitions can achieve only up to 1 point but this is will be weighted down. Re-use of original partitions is the only way to score maximum points. Repainting of re-used partitions falls under the overall painting specification. Up to 2 points available for this credit. Ensure if painting these areas colours are specified that have an LRV of not less than these limits above. This, in conjunction with the overall lighting design and illuminance, will achieve these points. See the Resene online colour library for light reflectance values. IEQ 3 - 1 paint point out of 28 IEQ points, total Green Star NZ weighting for IEQ of 25% = 0.89 Green Star NZ points. MAT 3 - 1 paint points out of 35 MAT points, total Green Star NZ weighting for MAT of 25% = 0.71 Green Star NZ points. Giving a maximum potential Green Star NZ paint points = 1.6 points (rounded). This tool rates a broad spectrum of industrial buildings. Open for feedback until 16th of March but pilot projects are underway. Up to 5 points available. 4 points for VOCs and 1 point for Formaldehyde. IEQ 3 - 1 paint point out of 38 IEQ points, total Green Star NZ weighting for IEQ of 15% = 0.39 Green Star NZ points. MAT 3 - 1 paint points out of 27 MAT points, total Green Star NZ weighting for MAT of 15% = 0.56 Green Star NZ points. Giving a maximum potential Green Star NZ paint points = 0.95 points (rounded). Solvent based paints shall not contain VOCs in excess of 200 g/litre. For recycled paints the average VOC level (across all batches) must not exceed 100g/litre. The NZ Green Building Council facilitates the Green Star NZ programme and assists building owners, specifiers, etc to learn and understand what is required to achieve Green Star NZ rating points and make sustainable improvements via seminars, consultations etc. The NZ Green Building Council also disseminates information and resources for improving the environmental footprint of buildings, products, specifications etc. The NZ Green Building Council does not provide independent verifications for products. 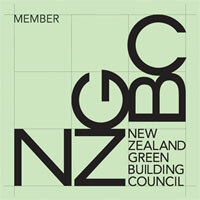 Companies, specifiers, owners, etc can choose to join the NZ Green Building Council. This does not mean that they are more or less environmentally preferable to non members. Green Star NZ is New Zealand’s first comprehensive environmental rating system for buildings.Green Star NZ does not approve products. To earn Green Star NZ points, the project specifier must show documentation proving that the specific product/method etc meets the Green Star NZ specifications. If the product/service meets the Green Star NZ specifications and compliance criteria the points are awarded. The Green Star NZ programme in a paint context is focused mainly on VOCs and independent verification, such as Environmental Choice NZ. To achieve maximum Green Star NZ points a product needs to meet the VOC limits (if used inside) and have independent environmental certification, such as Environmental Choice NZ. These points are awarded if the paint system meets the Green Star NZ specifications. No additional points are awarded if the paint system is better than the Green Star NZ specifications. If two products meet the Green Star NZ standard and one is better on some aspect than the other, they still both get the same Green Star NZ points. Environmental Choice NZ is an independent product verification programme run by the Ecolabelling Trust and owned by the NZ Government. Products must meet Environmental Choice NZ specifications to become Environmental Choice NZ approved. Over time, specifications for products are gradually tightened, so that products complying with Environmental Choice NZ have to meet a better standard of environmental preferability as time passes. Environmental Choice NZ takes a broader view than the Green Star NZ VOC specification and considers the wider impact of the product, including manufacturing, packaging, banning the use of many ingredients that are known to be hazardous and/or cancer causing, etc. Environmental Choice NZ does not have a specification available for all products at this stage, however many recent specifications have been developed due to demand from industry for specifications for some materials. Paint does have an Environmental Choice NZ specification. Environmental Choice NZ costs are based on company size. This is to ensure that smaller companies have equal opportunity to gain an Environmental Choice NZ specification as larger companies. Please refer to the NZ Green Building Council for verification of requirements for any Green Star NZ specifications. Resene products may be used to achieve Green Star NZ rating points. The maximum points available vary for each tool according to what is outlined previously. IEQ 3 - 1 point (unweighted) - 90% of interior paint applied on the site specified must meet Green Star NZ VOC limits. MAT 3 - 1 point (unweighted) - 90% of paint specified must have independent verification that it is environmentally preferable, such as Environmental Choice NZ. Further paint points are achievable in the tool specific wall and partitions calculator. To achieve these points paint finishes specified must have independent verification that thay are environmentally preferable, such as Environmental Choice NZ. Ensure you specify Environmental Choice approved Resene paints for at least 90% of the project. Specify products for at least 90% of the interior that meet the Green Star NZ VOC limits. Products that you wish to use that do not meet the VOC requirements above may still be used, provided they account for no more than 10% of the total paint use. If the Green Star NZ tool you are using includes a wall or partition calculator specify Resene paints with Environmental Choice NZ for all painted finishes on your walls and partitions. Resene has a wide range of Environmental Choice NZ and low or no VOC paints available that meet the general Green Star NZ VOC limit requirements and that will enable you to earn the maximum Green Star NZ points. When specifying Resene paint refer to the Resene VOC summary to view VOC levels and Environmental Choice NZ approval by product. Please ensure your list is current prior to specification, as product reformulations may result in a change in VOC levels and Environmental Choice approval. Resene staff are happy to assist with writing or checking specifications to ensure the optimum paint system is specified. Resene was a Gold Foundation sponsor of the NZ Green Building Council when it first started and is a current member. Most Resene waterborne products are Environmental Choice NZ approved. Refer to the Resene VOC Summary list to see Environmental Choice NZ approval by product. Copies are available from Resene representatives or the Resene website. A VOC is a volatile organic compound - in the case of paint, this is solvents that are released into the air as the coating cures over time. Most waterborne paints now have VOC levels of 100gm or less per litre. Traditional solventborne paints have considerably higher levels of VOCs - often 400gm per litre or higher. For example 7 litres of Resene Waterborne Woodsman has around the same VOCs as just 1 litre of Resene solventborne Woodsman and it is more durable so will last longer before requiring recoating. To put this VOC level into context, the San Joaquin Valley Air Pollution Control District estimates that the average dairy cow emits 19.3 pounds (8.75kg) of VOCs a year. This equates to 23gm VOC emitted per day per cow. New Zealand has a dairy population of 5.35 million cows (2006). With an average VOC emission rate of 23gms per cow per day, the total daily VOC emissions of the NZ cattle population is 128,319kg of VOC. The annual VOC emissions for the NZ cattle population is 46,836,468kgs. Australia has a cattle population of 27 million cows. With an average VOC emission rate of 23gms per cow per day, the total daily VOC emissions of the Australian cattle population is 647,592kg of VOC. The annual VOC emissions for the Australian cattle population is 236,370,960kgs. The VOC emissions from paint are dwarfed by the emissions from cows. Total Resene VOC emissions from all decorative paint manufactured in NZ both waterborne and solventborne would be equivalent to less than one week of NZ cow emissions. For waterborne products only, which comprise well over 90% of Resene’s decorative paint production, NZ made Resene decorative paint VOC emissions would be less than 3 days of NZ cow emissions. Over a period of 10 years, 1L of Resene Lumbersider will emit a total of just 35gm of VOCs while one average cow will emit 37kg (87,545gm) of VOCs. A Californian study of vehicle VOC emissions in 1997, showed an average VOC emission of 9.3gms per litre of petrol. The average car used 5.9 litres per day, so the total average car usage resulted in 55gm of VOC emissions per day. Over a period of 10 years, 1L of Resene Lumbersider will emit a total of just 35gm of VOCs while (based on the California study) one car with average usage will emit over 200kg (200,000 gm) of VOCs. Closer to home, hairsprays, deodorant sprays and many cleaning products release VOCs. In early 2007, Hong Kong enacted a regulation for hairsprays that no more than 80% of their content by weight could be VOCs. For a 500gm can of hairspray, this means potentially 400gm is VOCs. Most hairspray users would use a can every 1-2 months, which would equate to up to 4800gm of VOCs emitted per annum. This is the same level of VOCs emissions as you would get from using 87 litres of paint of a low VOC waterborne enamel, such as Resene SpaceCote Low Sheen, which would be sufficient to apply one coat to an area of around 1000 square metres. Over a period of 10 years, 1L of Resene SpaceCote Low Sheen will emit a total of just 55gm of VOCs while someone using one can of hairspray per month will emit up to 48kg (48,000gm) of VOCs. The stated paint VOC level is the maximum VOC that may be released for the full life of the paint and it is anticipated in most cases it will be much lower, which means that the total environmental impact over the product’s life is considerably less than items such as motor vehicles, hairsprays and cattle, which continue to emit VOCs on an ongoing basis. The drivers to reduce VOCs internationally come from two different interest groups - the first is interested in internal air quality (usually European), the second is interested in localised pollution and low level smog (driven by a number of organisations in California). More recently there has been a concern for possible interactions with so called “green house gases” but these are tenuous and not historically linked to the interest in VOC reduction. Resene has always believed that our best contribution to sustainability is to offer longevity and thus reduce the need for repainting. Reducing toxicity has always been a way of life at Resene but quality remains paramount. See the Resene Architects Memo Very ‘orrible compounds and In the valley of the blind (both available from /archspec/archmemo/memoindx.htm) for more information on VOCs. There is a range of local and international standards and the Resene Technical Team are happy to support specifiers and architects with information on products and their compliance.